After being a PSP exclusive for seven years, Ys SEVEN has now made its way over to PC thanks to XSEED Games. You can now play this game at HD resolutions and a wonderful 60 frames per second. Some of the translation is also touched up a little bit. The story starts with usual Ys fare. 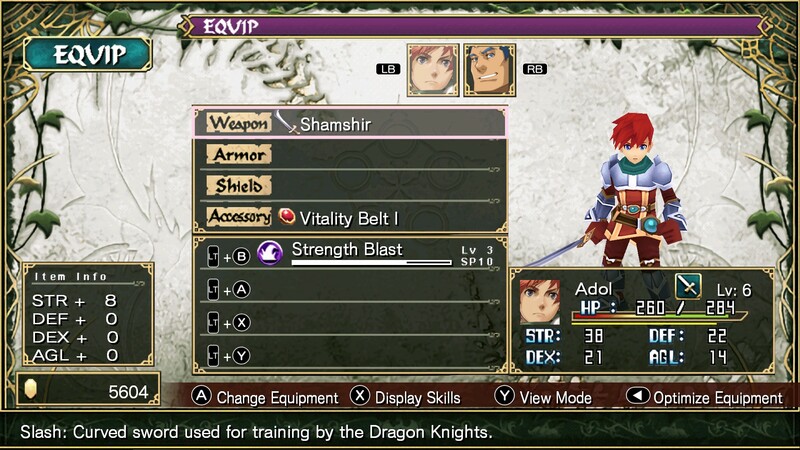 Adol Christin and his companion Dogi are off on another adventure, this time leading them through the land of Altago. They quickly find themselves in a bit of trouble, but thanks to their reputation, the king lets them off. The king tasks them to investigate the cause of some earthquakes inside a nearby cave. After these investigations, they find themselves wrapped up in a far larger plot than they expected. The story takes a bigger focus this time around compared to previous Ys games. Most of them are fairly light on story and dialogue and the game generally only takes about 10 or so hours to beat. This one though is almost twice the length, mostly due to more dialogue. The story doesn’t get really interesting until the halfway point. It didn’t grab me at first, but towards the end, I found myself invested in it. Even though the setting seemed fairly generic, Falcom’s stellar writing won me over. 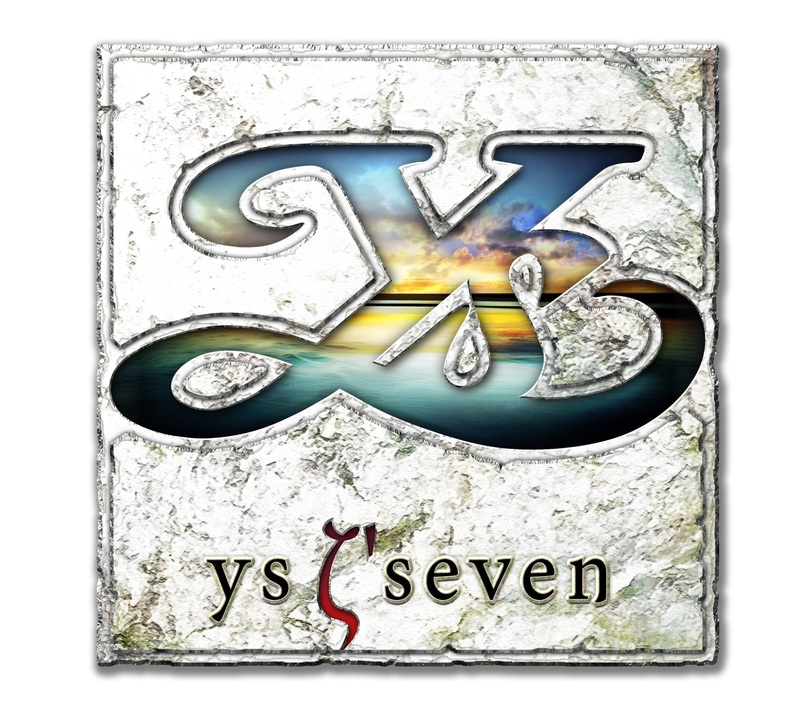 Ys SEVEN has a number of differences to the usual Ys formula, particularly if you’re playing this after having played the Ys: Oath in Felghana and Ys: Origin PC ports. You now have a party to play around with, rather than just a lone character. You can switch between what party members you control on the fly, and doing this is very important. Different characters have different attack types, and some enemies are weak to only certain types. 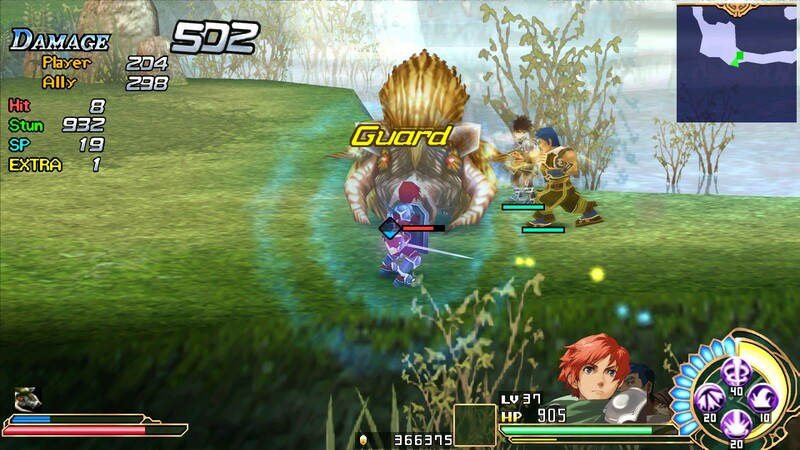 For example, armored enemies require a character like Dogi to do damage. You can’t jump around in this game, which means there’s no longer any platforming. Instead, you have a dodge that allows you to avoid attacks. You also have a block move which negates damage entirely. 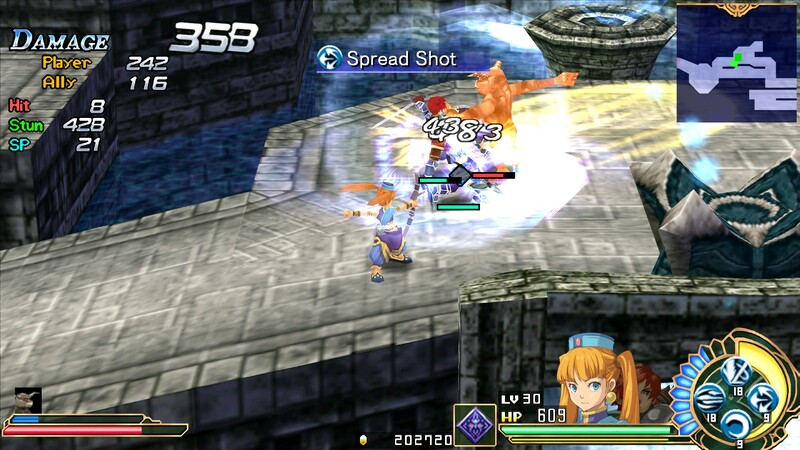 Each character can learn special attacks from equipping certain weapons. These attacks generally just do a big chunk of damage, though some can launch enemies or disable them for a bit. They require SP in order to use, which you get by attacking or blocking. This all sounds fine, though there are a few things I’m not a fan of. The biggest one is having to craft weapons. Materials to craft come from either enemy drops or certain harvest points throughout the game world. Having to farm for drops isn’t really what I think of when it comes to Ys games. Another issue is that with three characters on screen at once, things get pretty cluttered. 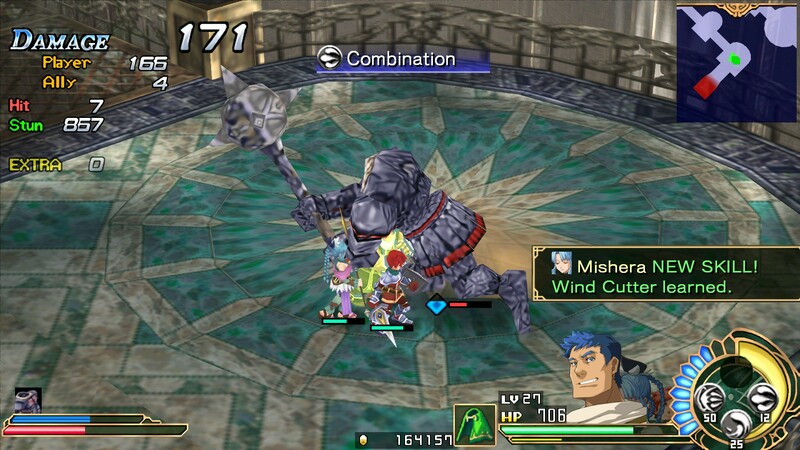 In previous Ys games it was just you and the monsters, so you can clearly see attacks coming. 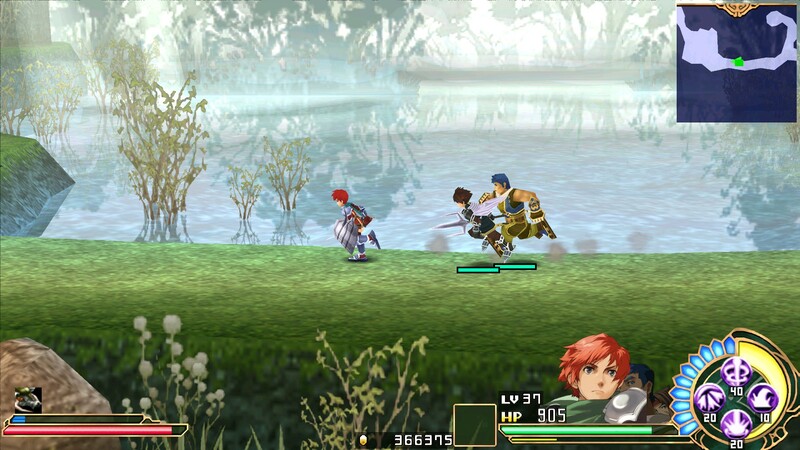 In Ys SEVEN, the other characters running around can be pretty distracting. I feel like to accommodate for this, they made the game a little easier. A big bullet point of some previous Ys games is there were no healing items. In this one, there are, though they are limited. Still, it feels like with a lot of bosses you can tank attacks pretty easily. The dodge also doesn’t feel as useful as it should. Sometimes I would get hit even though I dodged. There really aren’t a lot of invincibility frames during it, so I felt better just blocking most attacks. The combat feels a bit messy, essentially. There’s a lot of things happening on screen at once, especially during boss fights. Characters having different attack types don’t really make the combat any deeper. Just switch to the appropriate character and that’s it. The special skills also don’t feel as useful this time around. Rather than each one feeling distinct and serving a specific purpose, they all kinda feel like just different ways of doing damage. There are also big super attacks you can use. These also don’t feel particularly interesting. Just pop them off in a boss fight, and watch a fancy animation play out. There’s a lot of additions to this game, though I don’t feel like too many of them really added much of substance to the core formula. You’re still playing a Ys game, but there’s a bunch of other stuff happening at the same time. I think they tried to take a step forward with this game, and it kinda feels like more a step to the side. It’s not all bad though. Combat is still fun and exciting. In fact, I think the moment to moment combat with normal enemies is a little bit more compelling than it was in previous games. The different characters let you play around with different styles, which is neat. The boss fights are the highlights, as per usual. Visually, the game looks about as good as a PSP game in HD is gonna look. The character models look fine, the character portrait art is fantastic, but some of the textures are very, very blurry. These were after all made for a tiny PSP screen. Putting them on a significantly bigger one is gonna show their flaws. That said, some areas of the game are still aesthetically pleasing. The soundtrack is as good as anyone that knows Ys can expect. From the upbeat music that plays when you’re exploring to the rocking tracks that accompany boss fights, it’s every bit as good as the other games in this regard. Overall, this is a solid Ys game, though it has a bit of baggage that drags down the experience a little bit. The story goes on much longer than other Ys games, even to the point of having to re-visit each location multiple times. It feels kinda padded out just for the sake of having a longer game. The length will be 20-30 hours, depending on much of a completionist you are. Despite all this, it’s still a very good action RPG. It’ll cost you $25 which I think is a pretty fair asking price. As I said before, it’s a lot longer than the other Ys games, and while not perhaps quite as good, is still worth playing. This PC port is definitely the version to get thanks to the improved framerate. If you like Ys or action RPGs in general, I’d say this is worth playing.